To build off the success of 2016 Afghan Trilateral Program, Meridian International Center implemented the 2018 U.S. – China Training Programs for Afghan Cooperation and Reconstruction program. 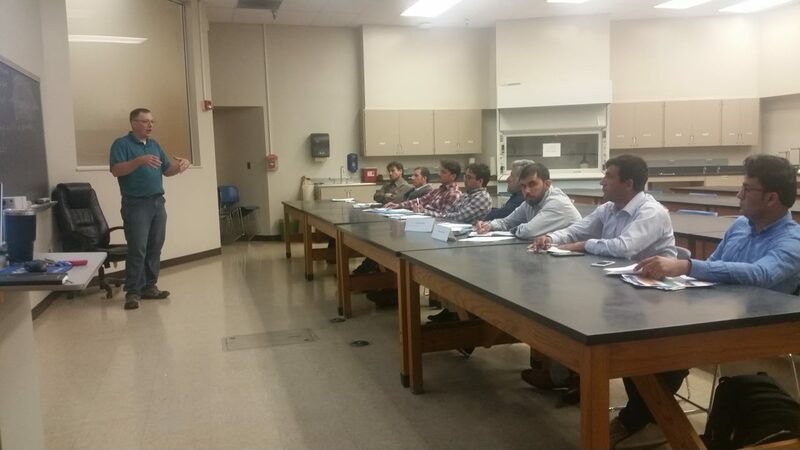 This year, the program brought 11 added-value agricultural and veterinary sciences experts from Afghanistan to participate in a Meridian program focused on leadership development for Afghan professionals. 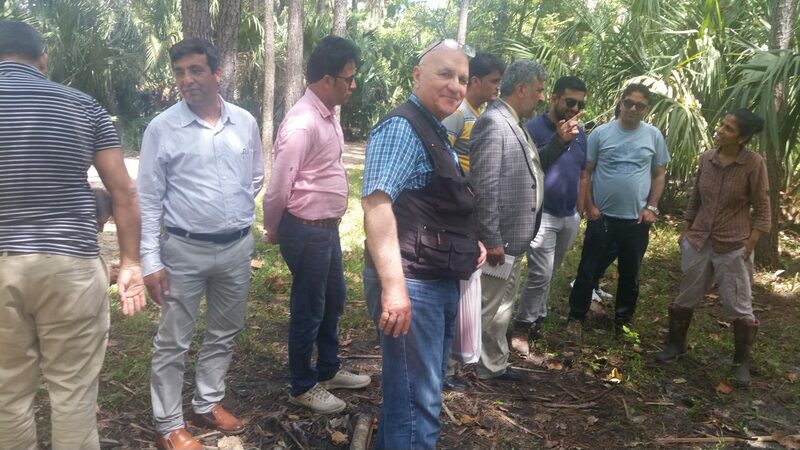 Through a combination of formal trainings, lectures, and site visits looking at the practical work of the participants’ professional counterparts, professionals achieved personal and professional development. 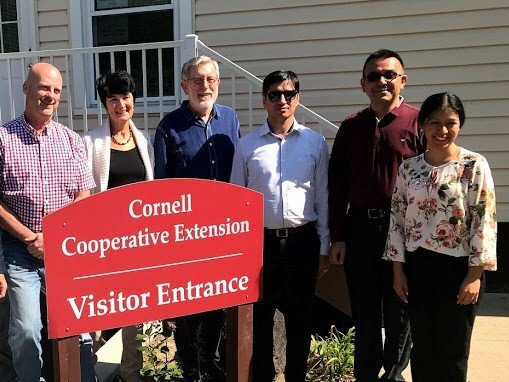 The participants engaged in a joint program in Washington, DC, followed by split programming in Jacksonville, FL and Rochester, NY focusing on their individual specialties – veterinary sciences and added-value agricultural production, respectively. Washington, DC provided a great opportunity for the Afghan experts to approach to federal institute and major U.S. NGOs which work with Afghan agricultural and veterinary development programs. During the trip in Washington DC, the group met with experts from the U.S. Department of State, U.S. Department of Agriculture, USAID, Chemonics International, and DAI Global Health. The group also participated in a two-day leadership development and change management program led by Timothy Kane, who is the Associate Director of Inclusion Initiatives at George Washington University. In Jacksonville, Florida the veterinary sciences cohort met with the UF/IFAS Duval County Extension, Florida Department of Agriculture and Consumer Services, and the University of Florida College of Veterinary Medicine for a variety of trainings and discussions with experts in livestock management, drought management, disease management, and advocacy and outreach for local farmers. Additionally, the cohort had the opportunity to work in the field and observe livestock management practices on several farms in the Jacksonville area. Other highlights included the change to dine with an American family during a home hospitality visit and a day on the beach! In Rochester, NY the added-value agricultural production cohort were able to deepen their understanding and generate creative ideas by visiting several local agricultural companies and research institutions such as the Cornell Cooperative Extension (CCE) of Monroe County, Duncan Family Farms, New York State Agricultural Experiment Station and Cornell Agriculture and Food Technology Park, and Spotted Duck Creamery. 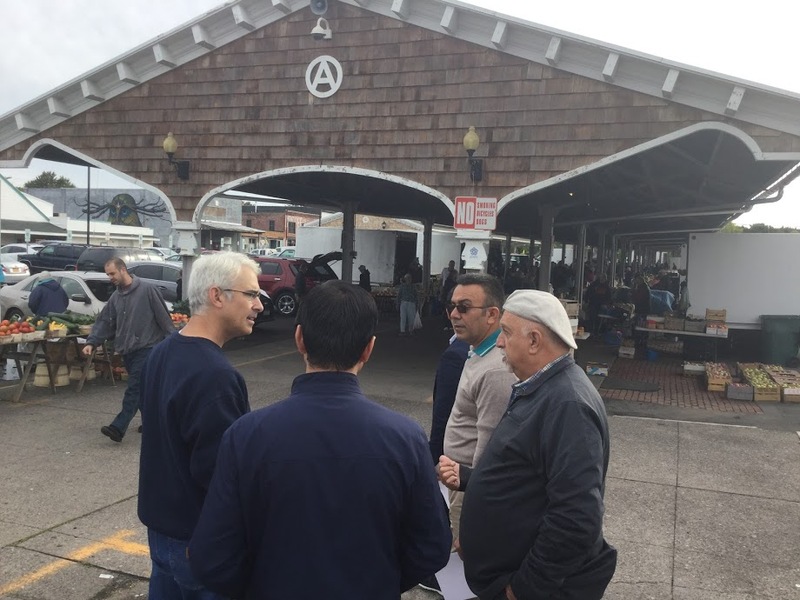 The cohort also had the opportunity to meet with New York State Senator Richard Funke and observe a local food market with the Headwater Food Hub and Good Food Collective to learn about advocacy for local farmers and contributions to the local community. In addition to touring Letchworth State Park, the participants also enjoyed spending the evening with an American family for a home hospitality visit. 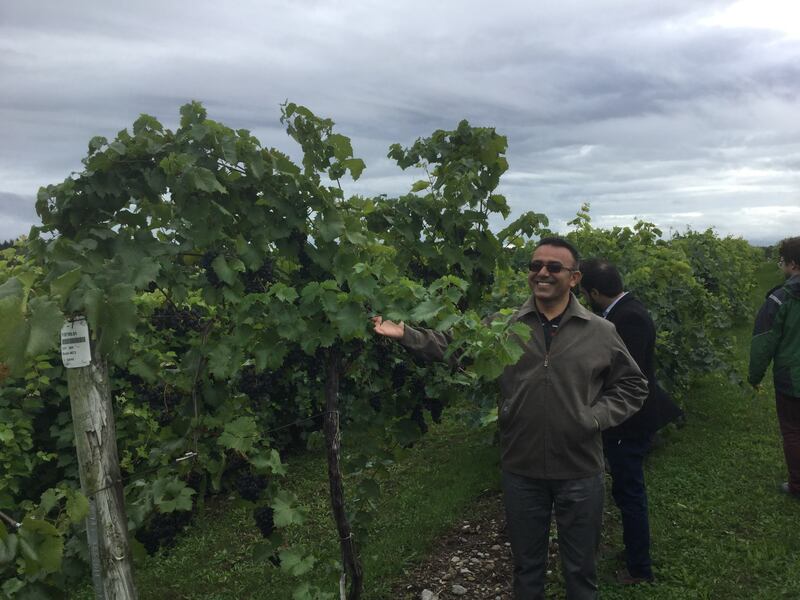 Mr. Hashimi enjoying the grape collection.